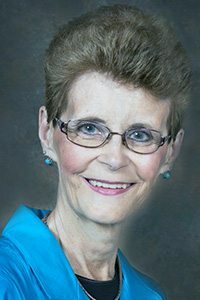 Pearl Jean (Gilbert) Brown passed away peacefully surrounded by her loving family from her earthly home into her heavenly home to spend eternity with her Lord and Savior on January 17, 2018, after her 7 year battle with cancer. Funeral services will be held at 2:00 p.m. on Sunday, January 21, 2018 at Missionary Alliance Church in Blairsburg with Pastor Ron Lotz, officiating. Visitation will be held on Saturday, January 20, 2018 from 5:00 p.m. to 9:00 p.m. at the church. Pearl was born October 19, 1950 to Richard and Norma Jean (Fowler) Gilbert in Fort Dodge, Iowa. She attended schools there, graduating in 1968 from Fort Dodge Senior High School. On November 9, 1968 she was united in marriage to Daniel J. Brown, her high school sweetheart, at Epworth United Methodist Church in Fort Dodge. They were blessed to celebrate their 49th Anniversary on November 9, 2017. She is survived by her husband, Dan Brown and their children: Troy Brown, Estherville, IA Jody (Wayne) Draeger, Kamrar, IA, Jamie (Alicia) Brown, Lincoln, NE, 10 grandchildren and 1 great grandchild. Also survived by siblings: Larry (Paulelda) Gilbert, Fort Dodge, IA, Ron (Connie) Gilbert, Webster City, IA, Jim (Deb) Gilbert, Fort Dodge, IA, Gary Gilbert, Fort Dodge, IA. Write a personal tribute for the family at www.fosterfuneralandcremation.com.